This statistic shows the influence of social media on older generation solo travelers in the United States as of July 2014. 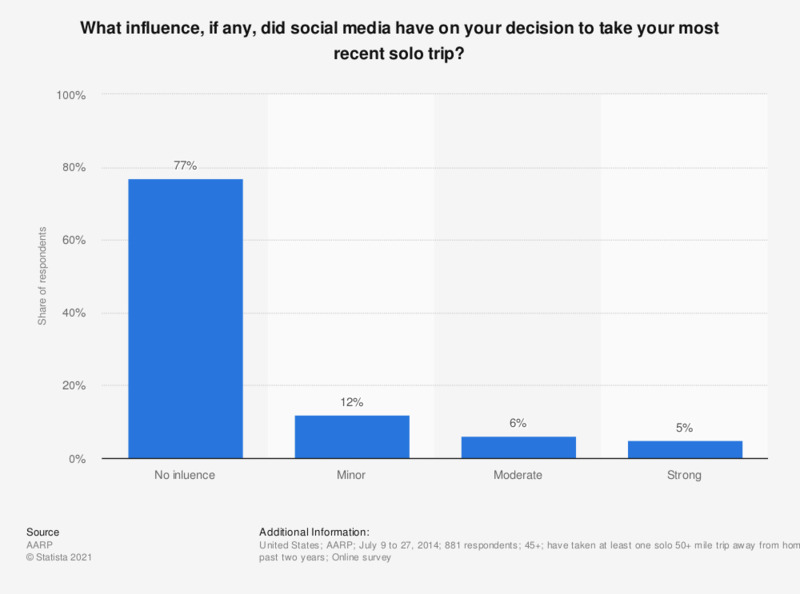 During the survey, 77 percent of the participants cited that social media sites had no influence on their decision to take their most recent solo trip. Generation X - Which clubs or organizations are you active in?